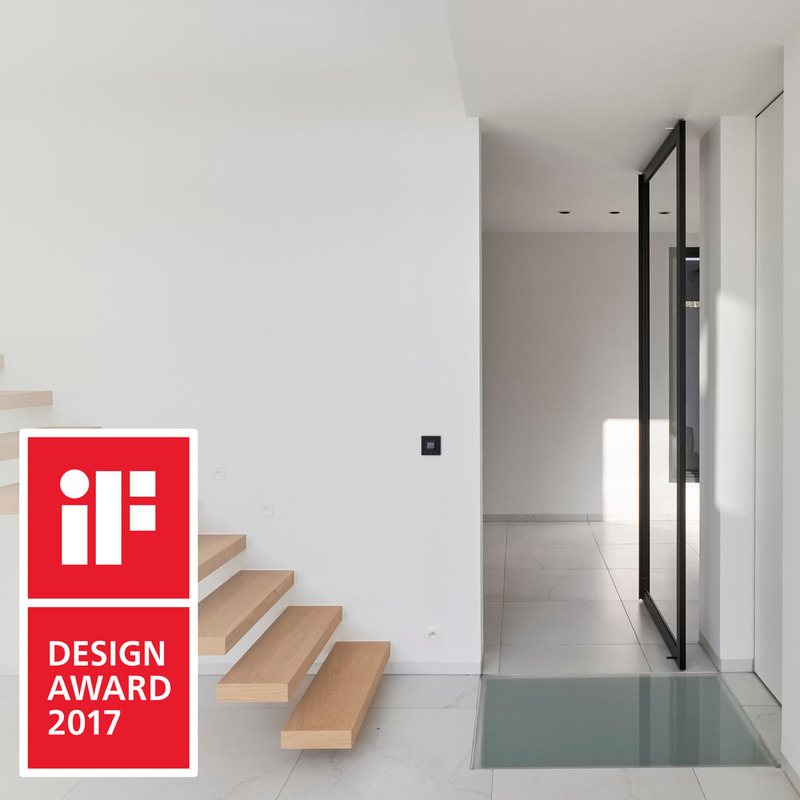 Antwerpen, Belgium, 2017-03-14 – Stealth pivot is a compact and innovative pivoting hinge, that can be fitted inside virtually any door leaf. The pivot hinge features a high-tech comfort closure that works in all swing directions even up to 360°. When fitted, the hinge remains invisible, hence the name “Stealth Pivot”. 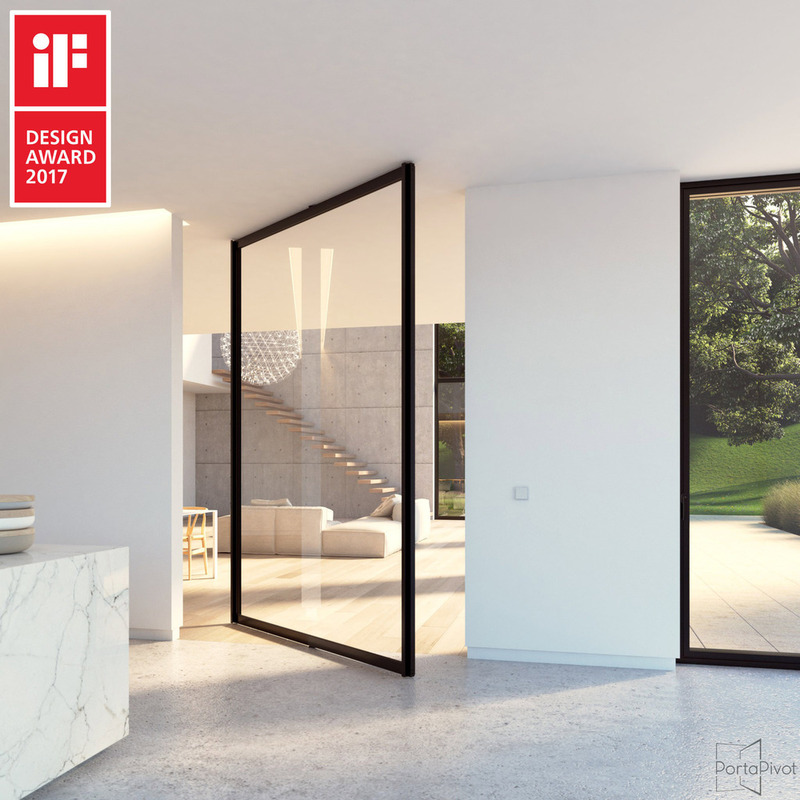 The jury from the iF Awards, held in Germany, noticed its excellence and awarded Portapivot a 2017 Design Award for its “6530” glass and aluminium pivot door system equipped with Stealth Pivot XL pivoting hinges. 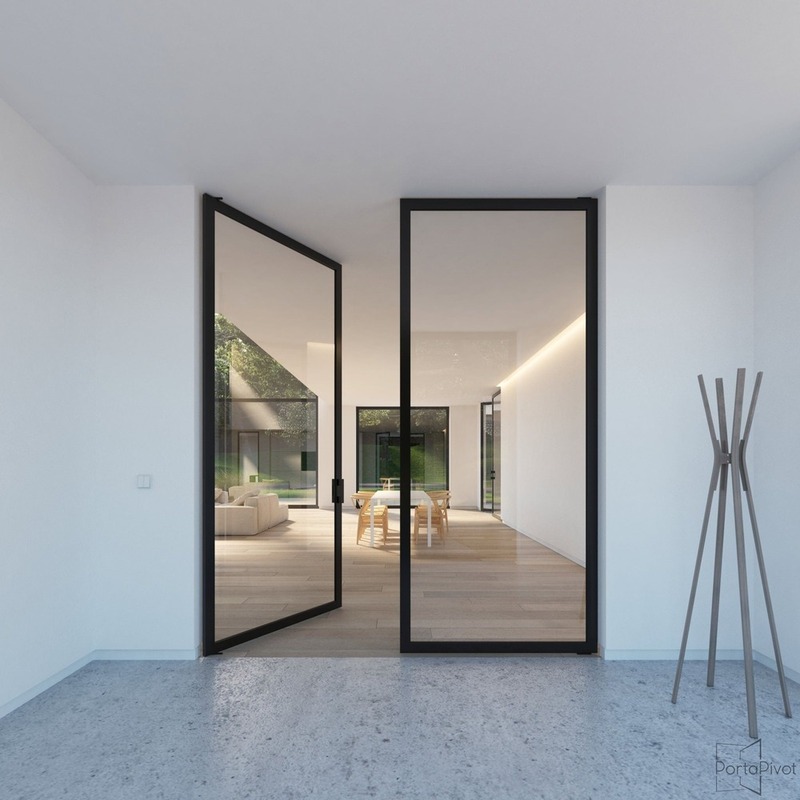 This pivoting door is made from a minimal aluminium frame (65 mm x 30 mm), available in 3 anodized colors: silver, black and bronze. The frame can be equipped with any 6 or 8 mm thick tempered safety glass. 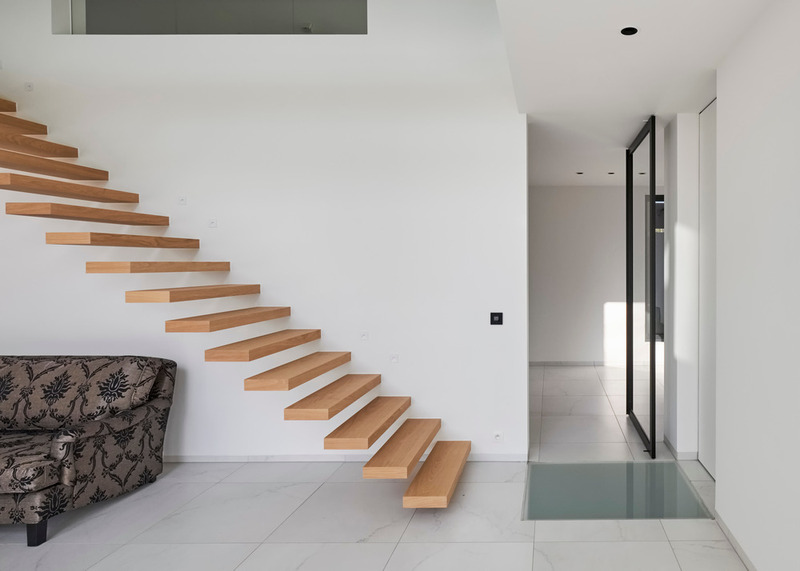 The frame is equipped with a “Stealth Pivot” pivoting hinge, specifically designed to be mounted on top of a finished surface, without the need for any built-in fixtures. The hinge is mounted straight on top of the finished floor and solid or reinforced ceiling. The minimal anchoring (2 bolts +-4.5cm deep) allows for easy installation on any type of surface. During development, a great deal of attention went into ease of installation, to ensure that the resulting pivot system could be used in both new and existing homes, regardless the construction. 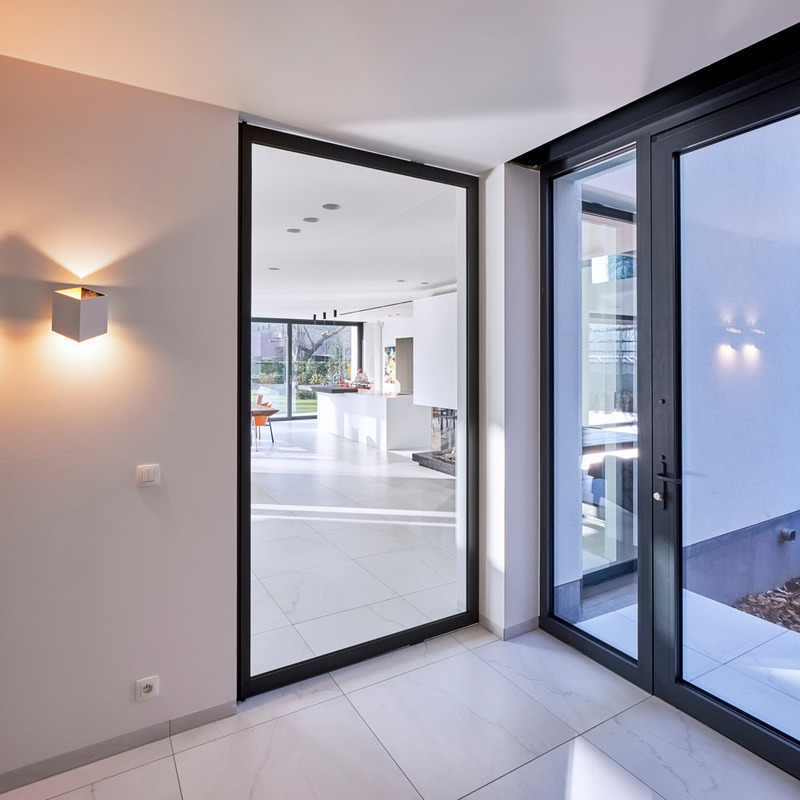 Stealth Pivot “XL” is designed for large pivot doors up to 150 kg. The axis can be positioned at either 1/3 or at the center, with a configurable swing operation of 90°, 180° or 360° like a carousel. The closing force is adaptable with 3 sets of Suspa gas springs, rated at a force of 300N, 400N and 500N. The gas springs can easily be exchanged to fine tune the closing force of the hinge as necessary.